Emelia Gorecka is no stranger to international championships, but 2014 marks a big step-up for the 20-year-old as she competes, back-to-back, in her first two senior global events. The British champion left Hampden Park feeling “bitterly disappointed” after her eighth place finish in the Commonwealth Games 5000m final but is looking for redemption at the European Championships this week. “I crossed the line thinking that wasn’t me, and I knew that wasn’t the performance I could have given. I knew the time I ran, the position I came and how the race unfolded just wasn’t me and it felt like it wasn’t a replication of where I am now,” the Aldershot, Farnham & District athlete reflected. Gorecka set her 5000m best of 15:07.45 on May 4 at the Payton Jordan Cardinal Invitational in the USA, but a clocking some 30 seconds off that mark in Glasgow left the youngster yearning for more. Behind the hype of her team-mate Jo Pavey’s phenomenal bronze medal-winning performance, the Mick Woods-coached athlete – who claimed the British title ahead of Pavey in June – got dropped from the lead pack soon into the race, an area she will certainly be looking to improve on in Zurich. “I lost contact with the group fairly early on which was hard to deal with – it’s hard running on your own,” she said. Still an under-23 athlete, 2014 was always going to be a year of learning for Gorecka. The European junior 3000m champion has succeeded on the junior stage time and time again, but stepping it up to the senior ranks marks a pivotal point in her prosperous career. The Aldershot athlete said: “I’ve grown up watching championship finals, but when you’re actually part of it, it’s very different. “It was so different from what I’m used to, but it’s exactly what I needed. To get stuck in there, learn from it, perhaps get something wrong and come away from it and try it again and again. Gorecka didn’t come away from Glasgow feeling too emotionally or physically drained, and, with a couple of good sessions under her belt, she and her coach will head into the European Championships full of optimism. “Training has taken a big leap forward this year, so we’ll be going into this race positive and really excited to give it a go and race against the seniors, but I wouldn’t label myself with a position or a time,” she said. 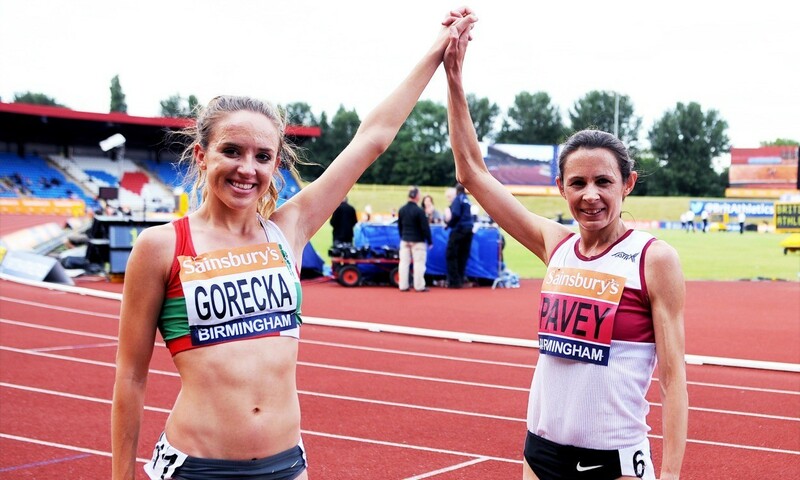 Gorecka races in the European Championships 5000m final on Saturday August 16 at 4.40pm UK time.